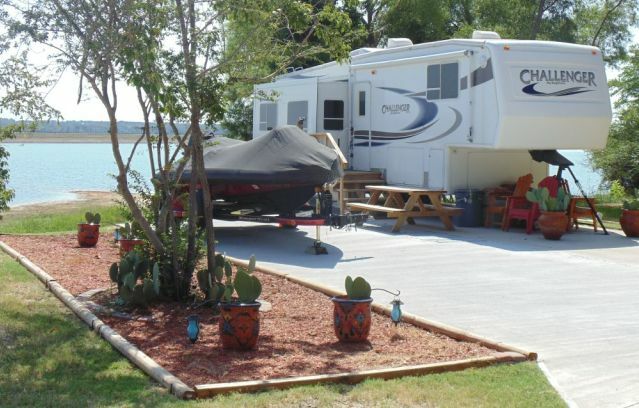 Welcome to Lake Fork's premier RV Park, Caney Point RV Resort, located on the shores of beautiful Lake Fork, known for trophy bass and holding the state record of 18.18. Lake Fork also dominates the top 50 list of largemouth bass caught in Texas. 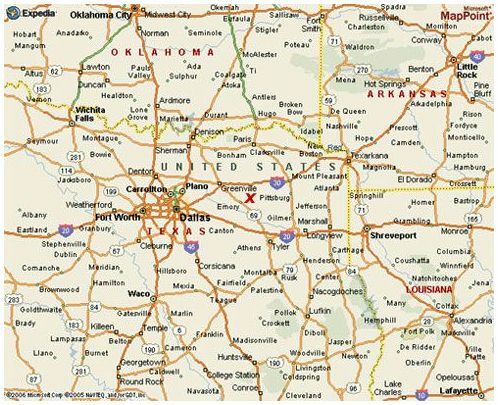 Lake Fork is located approximately 80 miles east of Dallas, Texas. 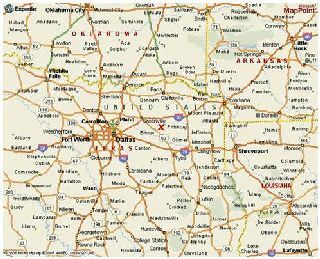 Surrounding towns are Emory, Alba, Yantis, Winnsboro, Quitman, Minneola, and Sulphur Springs, Texas. Surrounding counties are Wood, Rains, and Hopkins. 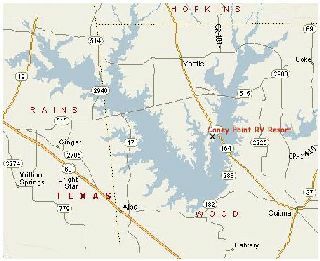 Lake Fork Reservoir is owned and operated by the Sabine River Authority of Texas. Lake Fork, Texas is known for trophy bass, holding the state record of 18.18. Lake Fork also dominates the top 50 list of largemouth bass caught in Texas. The Sabine River Authority and Texas parks and Wildlife have put forth great effort in making Lake Fork a great fishing lake, not just for bass but, blue gill, crappie and catfish. Note: Lake Fork offers some beautiful sunsets. 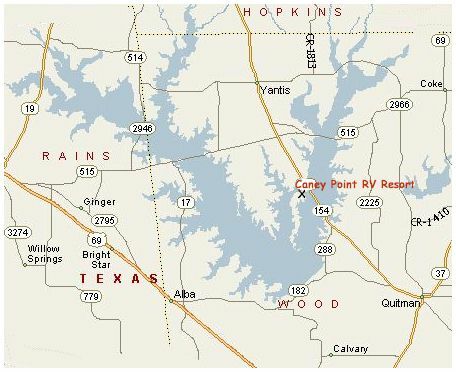 The Map below is an interactive and shows the satellite view of Caney Point RV Resort. You can click on the view larger map, which takes you to Google maps.